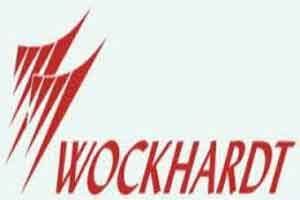 New Delhi: The nine observations received by Wockhardt for its Shendra facility in Aurangabad from the US health regulator are not ‘critical’ in nature and half of the issues would be resolved in next fortnight, the company said. “None of the nine observations that we have received are of critical nature. We would be able to make the facility compliant for half the issues in next fifteen days and rest would be resolved in two months or so,” Wockhardt Chairman Habil Khorakiwala told reporters in a conference call. “Other than the US market which is affected, our other businesses like India, the UK and emerging markets remain strong. We have been growing 20 per cent and above year-on-year in these markets and hope to maintain that in future too,” Khorakiwala said. “I believe issues at some of the facilities will get resolved in next few months,” Khorakiwala said. The company’s Waluj and Chikalthana plants are already under the USFDA scanner and the company cannot export most products from these two plants to the US market. The USFDA has made nine ‘observations’ highlighting violations of its norms at Shendra plant.